Why do I still get mobile app notifications after I close PureCloud? Launch PureCloud automatically. Automatically start up PureCloud when your machine starts up so you don’t miss important communications. Update automatically. The desktop app notifies you when a newer version is available and prompts you to refresh or install it. Note: If your organization doesn’t allow you to install or update the desktop app, contact your administrator to learn how your organization deploys the desktop app. 複数の組織へのログインに同じメール アドレスを使用する場合、ログイン時に組織名を入力してください。 をいただくことがあります。 組織名を入力します。 またはクリックすることができます。 多くのログイン オプション. Don’t have a PureCloud Collaborate account? 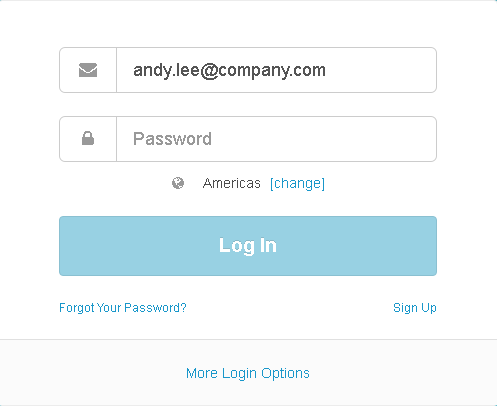 To sign up for your free PureCloud Collaborate account, click Sign Up in the lower right corner, fill out the form, and submit. You’ll receive the information needed to log in and start using Collaborate.